ANA is a non-profit neighborhood organization that runs on volunteer power and community donations. 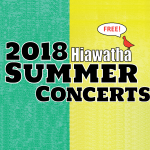 We use donations to help fund events like the Summer Concert Series at Hiawatha which are free and open to the public. If you’d like to help off set the costs of our community events, please send along your tax deductible donation to our fiscal sponsor — the group that manages our finances — Delridge Neighborhood Downtown Association. Using their secure website, PLEASE type “ANA” or “Admiral Neighborhood Association” in the comments section to insure we receive your donation. Click here to make that donation!